I bought my 5R at the end of January for $700 and now it's probably worth $300 on the used market. I know how much technology depreciates but also my experience with other expensive digital cameras I have owned (one example to LX3) was that the value wouldn't go down so sharply. Not even a year has gone by. Well to be honnest all cameras in this class are replaced after about a year. The replacement ofthen make the price go down. And look at other Miroorless cameras, like the Canon EOS, it came to market juli 2012 and goes now for just $244,99 that is a big price fall in just more then a year. 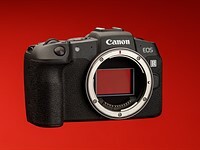 And there is no successor on the horizon, Canon just dropped the prices. Nikon did the same for the Nikon 1 series, even befor the new cameras came out they dropped the prices masive, to boost the sales. Many Olympus and Panasonic cameras are sold for very low prices after new cameras came out.